I’m thrilled to be one of the newest volunteers for the United Way’s Financial Education Program! As a workshop leader, I will be teaching financial management strategies to low and middle income individuals in New York’s Westchester and Putnam Counties. There are several workshops topics in the curriculum, including budgeting and financial planning, credit and credit cards, and getting out of debt. During my orientation last week, I delivered a practice workshop to other United Way volunteers. It was an exhilarating experience, and I am looking forward to teaching my first workshop out in the local community! I decided to get involved with the Financial Education Program for a number of reasons. I love presenting in front of a room full of people. It can be nerve-wracking at first, but I always end up energized and having fun. I feel lucky to have the opportunity to teach people something new, whether it’s a fun topic meant to entertain them for a little while, or a serious topic intended to persuade them to change their beliefs or behavior. Financial education is close to my heart as well. I used to be surprised when I had conversations with people about finances, and someone would ask me questions like “I just pay the minimum balance on my credit card. Can I pay more than that? Does it make any difference how much I pay each month?” Then I thought back through my own childhood and realized that none of my schools ever taught me about managing finances. Growing up, everything I learned about finances was from my family, reading articles on the Internet, and speaking with salespeople who just wanted me to buy their mutual funds or other financial service. It occurred to me that I am not alone: many other people have never received a complete and non-biased financial education. 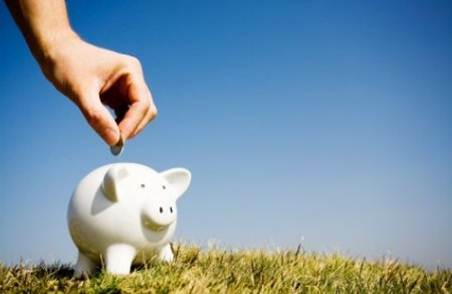 The United Way’s Financial Education Program helps fill this important need in the community. I’m excited to help bridge the gaps in people’s financial knowledge, clarify misunderstandings and myths, and give people tools to help them become financially secure. A few weeks ago, I coached some high school students through the Network for Teaching Entrepreneurship program. As part of this program, each student comes up with an idea for creating their own business. They work throughout the semester to create a business plan for their idea, and present it to their peers and local corporate executives. “I don’t have any ideas,” she replied quietly. Her eyes wandered, then looked down at the desk in front of her. She thought for a while. “Well, I like basketball,” she said. Kaya went on to describe how she would like to set up an organization that teaches younger kids how to play basketball, how she already owned sports equipment she could use for this organization, and how her uncle was a basketball coach at a nearby university who could help her execute her idea. I asked her a few more questions to help her flesh out some more details. By the time the bell rang at the end of class, Kaya’s eyes were lit up with excitement, and she was well on her way to creating her business plan. I was fascinated by this turn of events. At the start of our conversation, Kaya said that she didn’t have any ideas. Ten minutes later, however, she shared a well thought-out business plan that involved the sport she loved. How was this possible? Like Kaya, many of us struggle with what we want to do with our careers and our lives. We get stuck doing things that we have to do (or believe we have to do), but that don’t bring us fulfillment. We may take our strengths for granted — if they come so easily to us, we think, how valuable could they possibly be? We can lose track of our passions that bring us enjoyment and happiness. After a while, we may start thinking that we “don’t have any ideas,” and fail to remember or recognize what we want to do with our lives. The good news, however, is that we actually do have ideas. They may be pushed to the back of our minds, packed behind walls of perceived impracticality and fear of the unknown — but they are still there. I think back to when I was about Kaya’s age, when I got excited about my musical performances, loved teaching people how to use the computers at the library, and wanted to be a guidance counselor when I grew up. I’ve done many other things since high school, but those core passions still live within me (with one small change: my interest in guidance counseling has morphed into a fascination with career counseling and coaching.) Over the next few months, I’m going to be making some changes that will help me move my passions to the forefront. I look forward to sharing my adventures through my blog. We may say we don’t have ideas for how to fulfill our passions and use our strengths. But I believe that our ideas are there, waiting for us to rediscover and nurture them. Sometimes we just need a little coaching and encouragement to bring our ideas out into the open. Like many of you, I’m sure, I’ve spent an inordinate amount of time thinking about the school shooting in Newtown on Friday. I am just overwhelmed by feelings of helplessness. At least with Hurricane Sandy I could send money or Home Depot gift cards to those who were suffering, and feel like I was at least helping a little bit. For this, all I could think of to do is write. So I sat down and wrote a poem this morning. I am thinking of everyone touched personally by this horror and wishing I could do something more to alleviate their pain. with 27 gone by night? to feel the anger, place the blame? and numbly go about my day. My soul ablaze with young unfilled wishes. but that’s too simple to explain it all. That means there’s nothing we could do. How sad, how awful — is that true? while others suffer? It feels so wrong. when 27 are lost at school. I don’t recall where I bought the owl– just that it was an impulse buy, and that I really wanted it. After I bought it, though, I realized I had no idea how to take care of an owl. What do they eat? What kind of environment do they need to survive? Should they live in a birdcage or fly around the house? I put the owl in a gold birdcage with thin wire bars and a domed top, like a cage for a pet canary. The large owl filled almost the entire birdcage. I sensed that this was wrong, but I didn’t know what else to do. I regretted buying this beautiful, majestic, noble owl. Embarrassed, I packed away the birdcage and the owl, so that they were out of my sight. In this case, though, out of sight was not out of mind. The next day I felt immensely guilty and remorseful. Why did I buy an owl I couldn’t take care of? Why compound my mistake by pretending the owl didn’t exist? I unpacked the birdcage and the owl. The owl was lying still on the floor of the birdcage, with its large eyes shut. I lamented that I was a terrible person who killed this owl through my own incompetence. Then the owl slowly stirred, ruffled its feathers and opened its eyes. It stood up quietly in the birdcage, just looking at me. My relief turned quickly to urgency — it must be hungry! What do owls eat? I rushed out into the yard and started pulling grass, weeds, and small blooming flowers out of the ground. I carefully pushed this meager offering through the bars of the owl’s cage. I was afraid to feed the owl because I believed it was angry at me, and that it would bite me if I got too close. The owl ate the weeds, grass and flowers. Then I thought, it must be thirsty! I got a small bowl from the kitchen and filled it with tap water. As I tried to figure out how to get the water bowl into the cage, the dream ended. I’ve heard that the people and things in your dreams are actually extensions of yourself — your thoughts, emotions and beliefs. 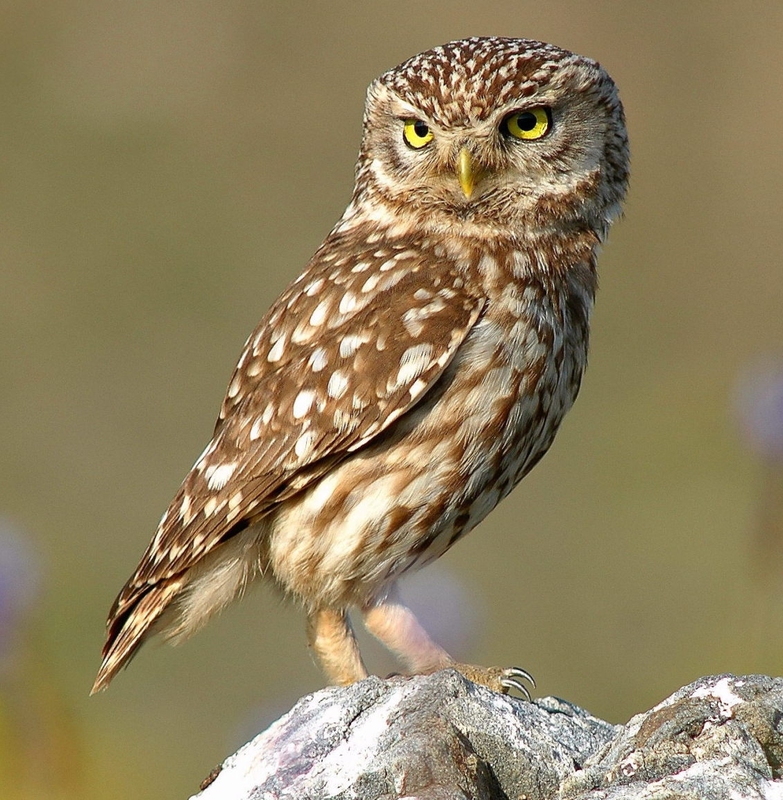 During my meditation, I focused on the owl and pondered what it meant for me. I am just starting to take some steps to advance my career in a new discipline, so the owl could represent this new direction. I’ve committed to this change, but I don’t completely understand it yet, which could explain my feelings of fear and incompetence in the dream. The owl could be the noble, special goals inside me that are still restrained but waiting to emerge when I’m ready. I will have to remember the owl as I move forward on my life’s path. What do you think? Have you ever had a dream or vision that was particularly meaningful for you? Like many people, I tend to define success and fulfillment according to what I do — working, singing, writing, speaking, cleaning the house, to name a few things. There is never any shortage of activities to begin, chores to complete, or obligations to fulfill. I am very much a list-maker who gains immense satisfaction from “checking the box” next to each task as I complete it. Lately though, my “things to do” feel less like accomplishments and more like habits. It’s like being on a treadmill, where your mind wanders through so many random thoughts and feelings that you forget you’re running in the first place. My mind is a noisy place, frequently consumed with analysis of the past or imaginings of the future. Even when all the boxes are checked on my to-do list, my fleeting moment of satisfaction is immediately followed by: “What else should I be doing? Is there something I forgot? If it’s not on the list, how will it ever get done?” The treadmill rolls on. I took a short vacation from my to-do list to visit Arizona a few weeks ago. While I was there, I signed up for a 1-on-1 guided meditation session with a Native American healer. Meditation has always intrigued me, but I had never tried it before. My lifestyle of constant activity clashes with the basic tenets of meditation — stillness, introspection, the reassurance to “just be.” Prior to that session, it was almost impossible for me to clear my head and focus on the moment. In a life defined by “doing,” I believed I was not very good at “doing” meditation. The session I had completely changed my view of meditation and my own strength. I learned that I have the ability to quiet my noisy head and focus my senses, if only for a few moments at a time. Also, unlike many other things that I am “doing,” meditation is a non-judgmental activity. There’s no reason to be hard on yourself because stray thoughts enter your head during meditation, or you don’t experience some profound vision or revelation. Meditation is a kind, gentle, and encouraging journey. Since my Arizona trip, I have been meditating at least once a day, in 10-20 minute increments. I am hoping to gain new insight about myself — so my life is not just about what I do, but also who I am and what my purpose is in life. It is a journey that I want to share with you all, my loyal readers. I realize this is a music and singing blog, so whenever it makes sense, I will tie in my music with meditation. I’m looking forward to the journey — when I’m hopping off the treadmill for a bit, I’ll let you know what I see! Thank you amorejourney.com for sharing my story. Judging from the other AMORE Moments on the blog, I am in the company of many talented, inspiring women! Last Saturday I sang with the MetropoliTones at a memorial service for Natalie. I did not know Natalie personally — she was a good college friend of another member of the MetropoliTones. Natalie passed away unexpectedly a little over two years ago. Recently her family had coordinated with the City of New York to dedicate a bench in Central Park in her name. Our performance last Saturday was at the official dedication ceremony for Natalie’s bench. It was a perfect day in the city — a clear blue sky with a warm bright sun. The park was filled with runners on the paths, sunbathers on the grassy hills, and legions of horse-drawn, tourist-filled carriages. Natalie’s bench was at the top of one of those grassy hills. During the ceremony, Natalie’s family and friends shared many wonderful memories, played music and read poems in her honor. One of her friends read a poem called Dragonfly, a beautifully written allegory about crossing over from life on Earth into the Spirit World. I was so touched by the poem that tears welled up in my eyes. We were scheduled to sing “Seasons of Love” (from the musical Rent) at the end of the ceremony. I was concerned I would not make it through our performance without crying. I also worried I might get so caught up in emotion that I would forget the words to the song. I did not want to mess up this very important moment! Fortunately, “Seasons of Love” went off without a hitch — I remembered the words, and although my eyes were tearing up quite a bit, I managed to keep my throat calm enough so that I could actually sing. We remembered and celebrated Natalie’s life through song, drawing strength from each other and from the spirit of the music. As we raised our voices in harmony, I felt our collective celebration of Natalie’s life cut through the sadness and resonate through the park, across the clear blue sky and through the universe. The horse-drawn carriages stopped and lingered, the runners in the park slowed their pace, and time seemed to stand still for a few short minutes. The ceremony ended soon after we sang. Family and friends came over to thank us, but I was the one who felt grateful. Natalie’s bench dedication was a magical, sacred moment in time, and I was honored to be a part of it. As I posted a few weeks ago, back in March I attended the SingStrong a cappella festival in Reston, VA. It was an amazing weekend of concerts and workshops. As if that weren’t enough, all the profits from the festival were donated to the Alzheimer’s Association and local music programs. Great music for a great cause! I can’t wait until SingStrong 2013! Last night the winners of the 2012 Contemporary A Cappella Recording Awards (CARAs) were announced. The CARAs recognize excellence in a cappella recording in a variety of musical genres. I had the pleasure of serving as a nominator and judge for the CARAs this year. I listened to hundreds of songs from collegiate, semi-pro and professional groups and got to cast my votes for the best songs, solos and arrangements. (Arrangements are adaptations of the instrumental parts of a song into vocal parts.) There was so much talent to choose from that it made my job very challenging! Then look them up on iTunes, where you can hear and purchase their music! I know I have plenty of songs and albums to buy! Congratulations to all of the a cappella groups who participated in the CARAs! 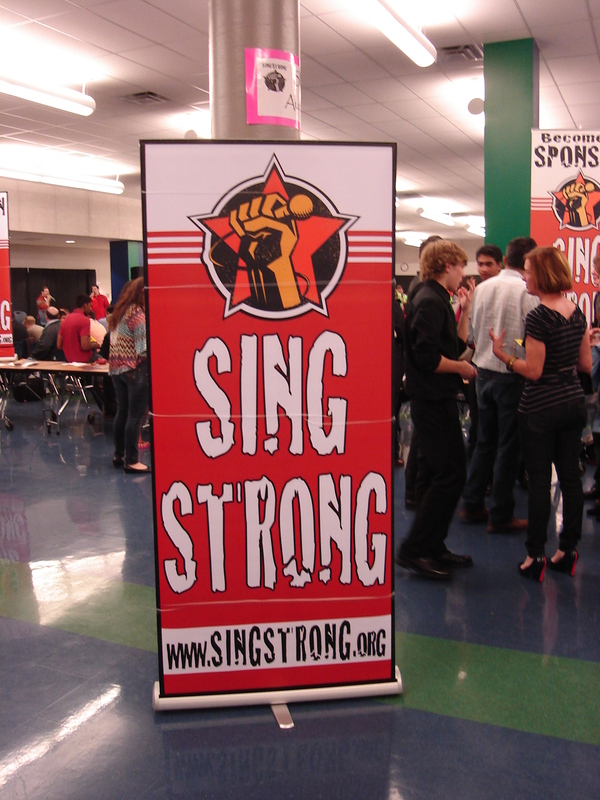 I just got back from SingStrong, an annual a cappella festival in Reston, Virginia. It was a weekend full of classes, workshops and concerts with some of the biggest names in a cappella (including Pentatonix, winners of the Sing Off Season 3)! There was also a great sense of camaraderie throughout the festival. All kinds of people were there — middle and high school students just starting out with singing, members of college and post-college groups who came to learn the latest techniques and trends, and professionals at the top of their game. All the classes and concerts were held at the same location, so there were plenty of opportunities for everyone to mingle and chat with each other. To top it all off, all of the proceeds from SingStrong are donated to the Alzheimer’s Association, so it’s a fun way to support a great cause. This was my second time at SingStrong, and my head is still spinning from all of this weekend’s events. I will write more about SingStrong in the coming days.